Vape expos aren’t something most people would think to attend. But if you vape, you really should! The vaping industry is unique. Yes, it’s a business but it is so much more than this as well. It is a community, populated by real people that actually like (and help) one another. The “vape community” – or, the #vapecommunity if you’re on Twitter or Instagram – is a very real thing. And it is super cool too. Personally, I have been to vape expos in England, the US, and also even Ukraine. The environment at these events is just great. Everyone can always walk away with a new favorite flavor and even new friends. People compare their interests whether it be building your own coils or working with certain companies. In Ukraine, I got to meet people from all over the globe and even hung out with people from an American company in the evening. 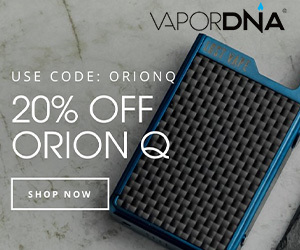 You get to meet so many new people attending vape expos and this is great for everything from networking to just extending your friend-circle. The expos usually are run over 3 days giving people chance to come down for a day to look around and try new things or even make a weekend out of it and just hang out with people at stands and try new things. The main ones to attend in the UK are The Vapor Expo in Birmingham and VapeJam in London. I’ve been to both and both have such great atmospheres with music, DJs, activities, live performances and more. It’s more than just juices and mods. 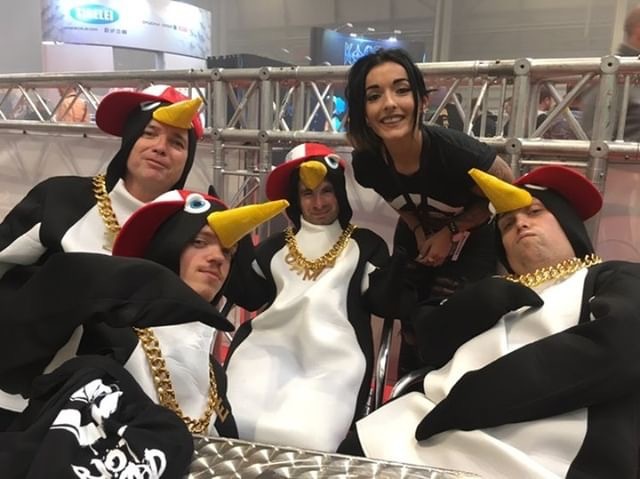 Cloud competitions are also great for a social event too – and there’s always a few going on at big vape expos. They’re great to watch and easy to get involved with. I’ve watched a bunch and learned more than a thing or two about building and coil placement at them. Some vape expos in the US include things like guest speakers and food and drinks events in the evenings. If you’re in the industry, these are great to attend, as you can make loads of connections. CBD is the next BIG growth product inside the vape market. During the past 18 months, I’ve seen more and more CBD companies at the vape expos I attend. I don’t think CBD would have enjoyed the success it has without vaping. Nowadays, you can get CBD anywhere – from edibles to vapable oil, as well as sprays and drippers – and the health benefits of using it are well established. The idea of being able to vape CBD inside E Juice that tastes just like normal E Juice is brilliant. Brands like Hot Juice, a company that makes GMO-free and 100% Kosher products, is definitely one of my favorites. Like everything in the US, things are bigger – and, yes, this goes double for its vape expos! The US is larger, and for this reason, there are A LOT more vape expos over there than in the UK. In fact, you could probably travel indefinitely in America going from one vape expo to another, zig-zagging your way across the country. 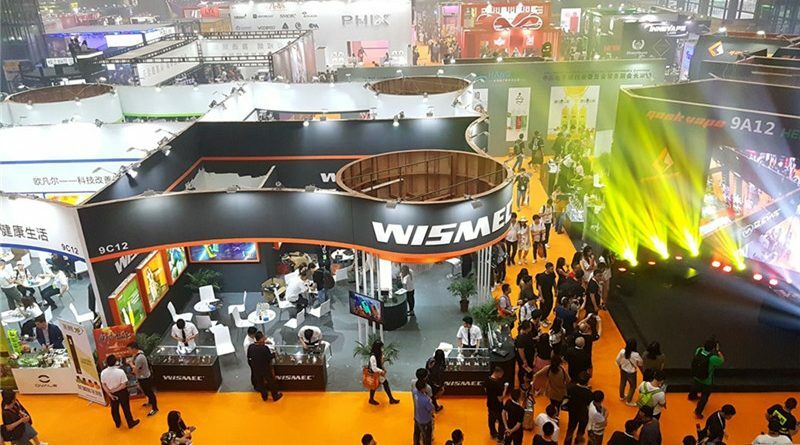 Vape expos are designed to showcase new brands and products. And while the entire point of them is business-oriented, they really are much more than just another trade show. They’re community-driven events; people fly all over the world to attend vape expos – and not just business people, either! 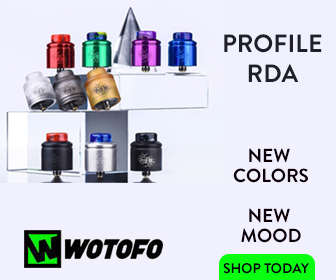 Vape Expo: Lots of Lights, Mods, And E Juices – Plus Loads of Cool People! I have friends that travel to the US and elsewhere to check out the latest vaping trends and companies. They love it. You see the world, make some friends, and vape a lot of excellent E Juice! And they wouldn’t do this if vape expos were just another boring trade show. My advice? If you’ve never been to a vape expo do yourself a favor and attend the next one in your area. I guarantee you’ll have an absolute blast, find loads of new E Juice brands, and likely get yourself an entire backpack full of free vape products. Why’s that? Simple: vape companies love giving away gear to people at expos – and, best of all, you don’t even need to be a VIP. Nope, just rock up, have a chat, and you’ll walk away with something – be it a pod mod or a bottle of E Juice. I’ve been going to vape expos for years. Sometimes with work, sometimes just for fun. But there is always one constant: I always meet new people and I always have a great time. And this is because the people at these events – be they visitors or businesses – are all just super lovely. They don’t mind chatting and they’ll happily help you with anything you need to know about. Not once have I been to a vape expo where I’ve regretted going. Even with a hangover the size of Texas, you still manage to have lots of fun and try lots of new things. I’ve made friends for life at vape expos, as well as great business connections, and I will continue to go to these expos in the UK and US from here on out for this express reason. But mostly because they’re just great fun. That’s the real reason to go: great times with good people (plus A LOT of freebies thrown in for good measure)! 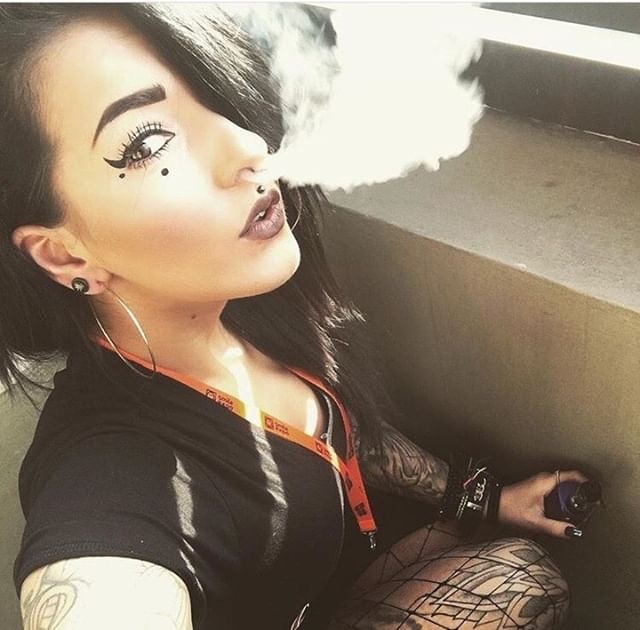 Instagram Vape Model. Vape Lover. Love My Tattoos.